Pearl of Papua is a purpose-built Indonesian diving liveaboard boat, and not a modified or converted vessel. At 30 metres in length, the boat’s size enables her to easily accommodate up to 14 lucky guests and sail smoothly through any local sea conditions. Up to 15 guests can join chartered trips. There is a lot to make Pearl of Papua special, including the excellent rates, considering the luxury on offer, and the opportunity to enjoy West Papua diving cruises at any time of year. In addition, due to the boat’s styling combined with modern facilities, guests can enjoy the best of both worlds – classic atmosphere with up-to-date comfort and safety features. The boat was designed for long liveaboard diving cruises. Therefore, every detail is ideal for the guests to enjoy their time on board in comfort and safety, and without breaking the bank. There are three cabin options to choose from, at different levels of luxury and price. All cabins are individually air conditioned, have en suite bathrooms with hot & cold freshwater showers, and shelves for storage. Although cosy, the cabins are extremely welcoming. The standard and deluxe cabins have two twin beds or one double bed, and the luxury master cabin has a double and a single. All cabins have a window or porthole. The communal areas on Pearl of Papua include an air-conditioned indoor restaurant/lounge and lots of space out on deck to sunbathe, read, socialize, or just look out to sea for dolphins or enjoy the jaw-dropping views of this part of the world. There’s always somewhere on board to find some privacy or to chat with other guests or the friendly crew. Delicious food is served throughout the day, and includes local, western and Asian cuisine. The chef is extremely experienced, and nobody checks out slimmer than when they join these wonderful diving cruises in the best diving areas of Indonesia! Unlike most other Indonesian liveaboard diving boats which come to West Papua for a few months each year, Pearl of Papua is based here and spends the whole year taking guests to the very best dive sites in Indonesia – and possibly the world. The Divemasters and captain are very experienced in finding the right dive sites and marine life for each guest. Sometimes, they dive at dive sites which are secret to them alone, and it is often the case when there are no other boats or groups on a reef at the time. Finally, for divers who are certified and want to maximize their time at depth and reduce tiredness, there is Nitrox available on board. There are several itineraries which Pearl of Papua follows, and each of these can be altered slightly. Therefore, the itineraries described below are examples for reference. 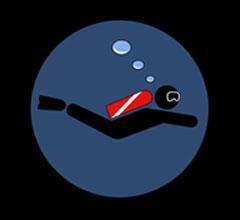 There are maximum two dives on the final diving day, in order for guests to comply with the 24-hour no fly time. Most full diving days include 4 dives, usually 3 day dives and a night dive, but some days include an island visit or sailing across the sea. Elsewhere on the internet these trips can be seen advertised as 8D/7N, 9D/8N etc. but considering the number of diving days and that guests disembark after breakfast on the final day, we prefer to show them like this. The itineraries below are the most-common for each trip, but these can sometimes be changed for a number of reasons. Small changes are made due to weather & sea conditions, special marine life sightings, overcrowded dive sites, local-authorities' instructions, and the needs & requests of the paying guests. The safety & comfort of all guests is most important at all times. Guests are most commonly met at Sorong (or Manokwari) Airport by the cruise director or other staff and transferred to KLM Pearl of Papua, free of charge. This also applies to transfers after the cruise. Please contact us for more specific details, and for any help in booking domestic flights in Indonesia, as this can sometimes be difficult for those overseas. National park fees are due on all Indonesian liveaboard cruises, and the prices vary on the length and destination of the trip. These fees are paid in cash upon arrival. They're shown in USD ($) but can also be paid in local Indonesian Rupiah (IDR).